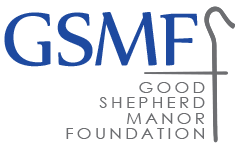 The Good Shepherd Manor Foundation, a 501(c)(3) supporting organization founded in 1981, provides fundraising support for the programs and services of the Manor through special events including the Brunch Auction, Golf Outing and Fall Festival. Donations to the Good Shepherd Manor Foundation are 100% tax deductible as allowed by law. Visit our Good Shepherd Manor Foundation site now!